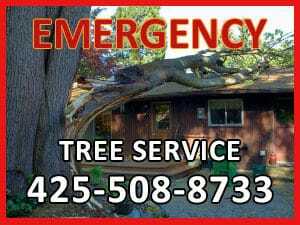 Choose a tree service company - Kenny Tree Inc. So how do you select a tree company? Based on price? That is probably the criteria most people consider. However, when it comes to tree work, you definitely want to choose selectively. Tree work is the second most dangerous work in the world, rated just under commercial fishing. With the high degree of difficulty and danger of this work, you would be well advised to choose a tree company that will get the job done right. Here are some criteria to take into consideration when choosing a tree service. Choosing a tree company that has at least a decade in the industry is a good move. Recommendations from family, friends and neighbors can be a great resource, also check online ratings and reviews. There is no alternative to Experience. A tree company that has an experienced staff in the industry is one of the most important factors for successful tree work to be performed. Look for a company that has at least 10 years of experience in your area. It is an easy thing for the service to provide a copy of their certificate of insurance. If they don’t have one, don’t use them. There are an ever increasing number of tree companies that are fly by night, unlicensed and with no insurance. A tree company that protects you and its workers, by carrying liability and workman’s comp insurance is a necessity. It is of the utmost importance to find a tree company that has a valid contractor license to protect yourself should any accidents or problems arise. It is almost a requirement these days with all of the new laws and regulations to ensure that the tree company has an ISA Certified Arborist available. Check out the company’s website to view their pictures. Usually a valid tree company has images of their equipment and vehicles. This is because having proper equipment and vehicles make a huge difference in safety and getting a job done properly and efficiently. If a tree company has old rusty and faulty equipment that breaks down half the time, they probably will not complete your job properly and in a timely manner. Don’t be afraid to ask about the age of the equipment they will be using. Though the work can be dangerous and could cause damage, rest assured that your property will be protected as if it were our own. Kenny Tree Inc. is fully licensed and insured.